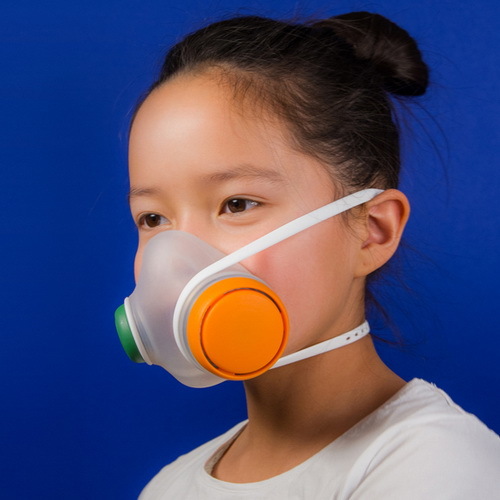 Tinuku ~ Kilo Design studio designing anti-pollution mask Woobi Play for Airmotion Laboratories used a practical and attractive to children. Masks transparent and colorful to protect and educate children who live in areas with very high levels of air pollution to keep breathing and appreciated the cleanliness of environment. Design company Kilo studio from Denmark to design an anti-pollution device for startup Airmotion Laboratories using materials and colors that appeal to kids aged six and older. Funny structure featuring simple shapes, bright and easily translated as education to respect the environment. The simple design where the mask can be disassembled and assembled back where children and parents can be easy to carry and use. Woobi Play intended for areas with very high levels of pollution and micro arrestance high-efficiency particulate (HEPA) filter to protect users from 95 percent of airborne particles. "Our planet is facing some serious challenges today, in 2016 UNICEF reported that 300 million children living in areas with the most toxic air," said Kilo founder Lars Larsen. "Woobi offers solutions to improve the living conditions of these children throughout the world. This project is a bold attempt to design a simple, new typologies that transform a professional, protective masks to fit the child's world," said Larsen. Masks offer an alternative to the traditional patron who often hides the face. 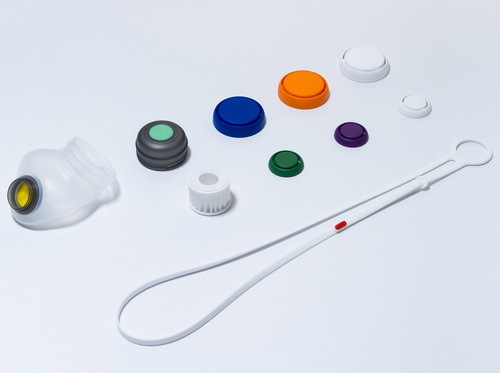 Woobi using translucent silicone to keep the social sensitivity of the colored areas. Studio hopes to teach children about how it works. Each part can be exchanged that allows children to adjust.